The fifteenth letter of the Hebrew alphabet. Its name may be connected with "samek" ="prop," "support." On the original shape of the letter see Alphabet. 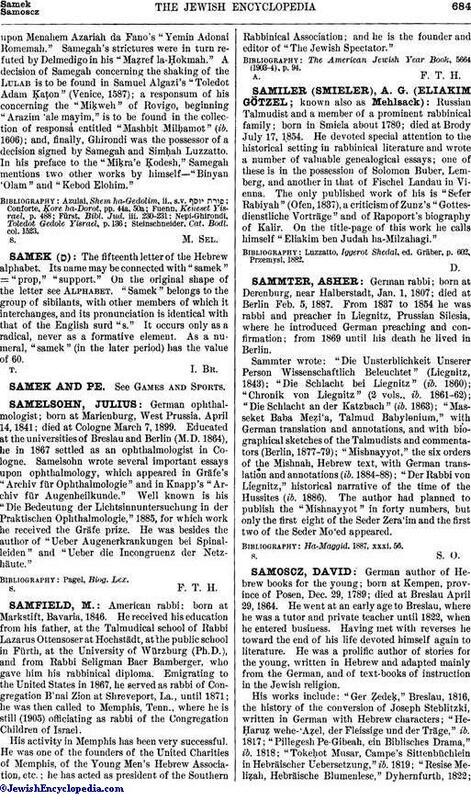 "Samek" belongs to the group of sibilants, with other members of which it interchanges, and its pronunciation is identical with that of the English surd "s." It occurs only as a radical, never as a formative element. As a numeral, "samek" (in the later period) has the value of 60.